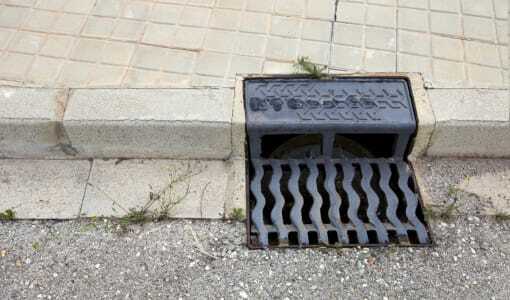 A man was arrested in Japan for hiding under a storm drain and looking up female pedestrians' skirts and taking pictures with his smart phone. Yasuomi Harai, 28, was spotted when passersby noticed some of his hair sticking out of the drain. It was reported that Harai hid under the 28-centimeter-wide gutter for five hours in order to snap these invasive and illegal photos of various women. During his "lengthy investigation," Harai was found guilty of this offense, for which he had been also arrested two years prior. Harai reportedly told police that he wants to be reincarnated as a "part of the pavement in the next life." Hopefully, Harai's most recent run-in with the law will keep him off the pavements and out of the gutters.